Vous pouvez également utiliser 21600 Kobo Super Points pour l'obtenir ! Did Freud present a scientific hypothesis about the unconscious, as he always maintained and as many of his disciples keep repeating? This question has long prompted debates concerning the legitimacy and usefulness of psychoanalysis, and it is of utmost importance to Lacanian analysts, whose main project has been to stress Freud's scientific grounding. 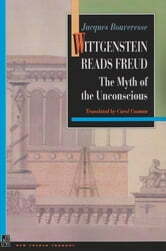 Here Jacques Bouveresse, a noted authority on Ludwig Wittgenstein, contributes to the debate by turning to this Austrian-born philosopher and contemporary of Freud for a candid assessment of the early issues surrounding psychoanalysis. Wittgenstein, who himself had delivered a devastating critique of traditional philosophy, sympathetically pondered Freud's claim to have produced a scientific theory in proposing a new model of the human psyche. What Wittgenstein recognized--and what Bouveresse so eloquently stresses for today's reader--is that psychoanalysis does not aim to produce a change limited to the intellect but rather seeks to provoke an authentic change of human attitudes. The beauty behind the theory of the unconscious for Wittgenstein is that it breaks away from scientific, causal explanations to offer new forms of thinking and speaking, or rather, a new mythology. Offering a critical view of all the texts in which Wittgenstein mentions Freud, Bouveresse immerses us in the intellectual climate of Vienna in the early part of the twentieth century. Although we come to see why Wittgenstein did not view psychoanalysis as a science proper, we are nonetheless made to feel the philosopher's sense of wonder and respect for the cultural task Freud took on as he found new ways meaningfully to discuss human concerns. 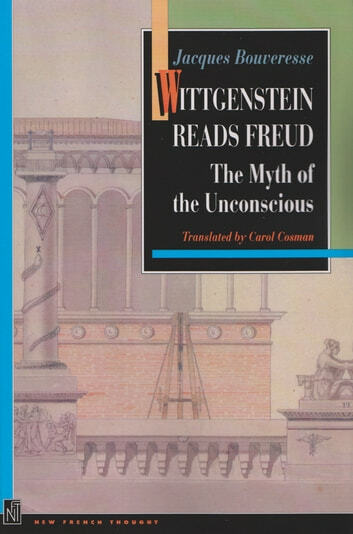 Intertwined in this story of Wittgenstein's grappling with the theory of the unconscious is the story of how he came to question the authority of science and of philosophy itself. While aiming primarily at the clarification of Wittgenstein's opinion of Freud, Bouveresse's book can be read as a challenge to the French psychoanalytic school of Lacan and as a provocative commentary on cultural authority.